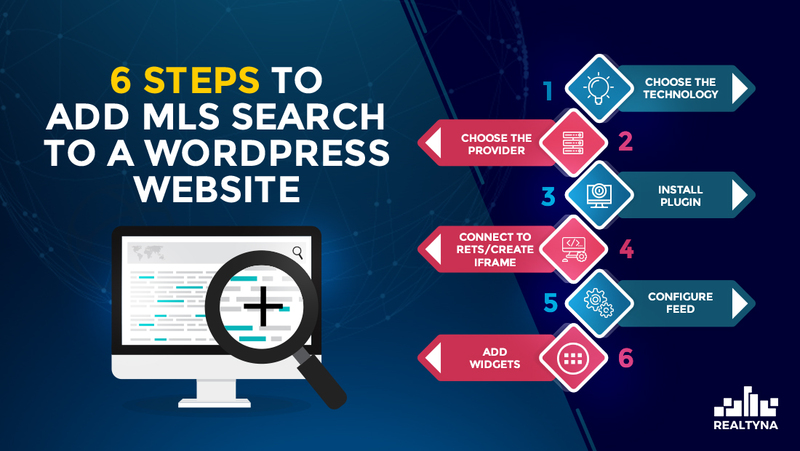 In this article we are going to show you what you need to do to add MLS search to a WordPress website. Follow these six easy steps to start displaying MLS property listings on your site and generating more leads. The first step to add MLS search to a WordPress website is to understand that not all IDX technologies are equal. You’ve probably seen them around the web…ads for IDX Provider A $59.99/month, or IDX Dealer B $49.99/month. This can sap the SEO power from your MLS Search, and limit your search engine visibility, but framing technologies often involve low upfront fees. So if you need something cheap and you aren’t interested in showing up in web searches, framing might be right for you. Once you’ve chosen your preferred technology, you should price shop for an IDX provider. You’ll want to ask your provider whether they using framing or organic. You also should ask about monthly fees. Some organic providers will sell you their software for a one-time payment, which in the long-term is probably going to save you money over paying monthly fees indefinitely. Once you make your payment, the IDX company will provide a link for downloading and installing the necessary WordPress plugins for your MLS search. Some will provide this installation for you free of charge, if its not something you want to tackle on your own. If you are using a framing system, most likely you will use your plugin to generate iframe. Once created, you can copy and paste this code to the page of your choosing to establish your IDX display. Organic users will have the chance to configure their feed at this point. If you are technically capable you should map the fields and property types you want to display in your MLS search. If not, your organic provider should do this for you as part of your purchase. If you are using an iframe, you may not have as many configuration possibilities. You will need to work with your IDX provider to see if they can accommodate any necessary changes in your iframe. You should use widgets to control what appears on your website. For example, your plugin may allow you to add favorite or featured property functions to a side bar. You also may be able to configure your search bar or agents from your widget panel. This will allow you to personalize your MLS search and website. Contact us today for a free consultation or a free trail.